Have you ever been in a silent store – with no music playing in the background? What was your impression? If you are like most people, you probably felt uncomfortable, and after looking around a bit, you quickly left, headed towards a friendlier, more welcoming store. On the other side of the scale, have you ever left a store because the music was too loud or unpleasant, making you feel stressed and uncomfortable? Music is a key, if underrated, element in a store’s retail mix: The right music has the potential to put people in the right mood, (re)define the brand’s image, attract customers and increase sales opportunities and revenue. Are you a carefree, laid back brand? Do you run family-friendly stores with a warm atmosphere? Are you edgy, vibrant and energetic? The tempo, loudness, style of the music you play can help communicate your brand’s personality to customers, even before they enter your door. Music is such an effective cue to a brand’s image that it’s often enough to hear notes streaming out of a store to realize the brand's and products' personality. Imagine that you are at the mall, shopping for a suit. You probably won’t enter stores playing rap or dance music, as they are unlikely to stock formal wear. On the other hand, if you were looking for a new pair of sneakers you would probably pop into one of those very shops, drawn by the notes. If you have been thinking about tweaking or re-branding your stores, music can be a powerful tool to achieve your brand re-design goals. As the competition from e-commerce is getting stronger, the quality of the shopping experience has become one of the key differentiators for physical stores. Music plays a big role in creating and enhancing the retail experience, to the point that four out of five small retailers believe that they would damage their store’s atmosphere if they stopped playing music. Research shows that the music you play affects not only the store's environment, but also shoppers’ moods and feelings. By changing the tempo and style of background music, retailers can create a visible change in atmosphere. Analyze your store's ambiance, what kind of atmosphere do you want to establish? You could for example create a playful space with high-key pop music, or use slow rhythms to build a relaxed, pensive environment. By masking the sounds of voices and movements, background music helps create a personal space for customers, giving them privacy as they walk around the store, browse the products and make comments to friends or family. This considered, it is perhaps unsurprising that a whopping 99% of staff who work in stores without music think that shops that play music are more modern and appealing places to shop. Ouch! Studies show that the speed, rhythm and volume of in-store music affects the pace of customer flow through the store. When calm music is playing at a low volume, people tend to wander around the aisles slowly; on the other hand, when energetic, loud songs are playing, people tend to accelerate their pace through the store. Interestingly, the pace of customer flow doesn’t appear to affect sales. A smart in-store music strategy will take into account these effects, and play different styles based on the time of the day and desired goals. For example, a retailer may decide to play fast tempo, louder music when it’s close to closing time, to encourage customers to speed through the store; conversely, slow music could be played during off-peak times, to inspire shoppers to wander around and browse the merchandise for longer. Music can affect people’s perception of time. A long queue will feel shorter if there is good music playing in the background. It's the same principle behind the melodies played while callers are put on hold. When people are entertained, they are less likely to get bored or annoyed - and likelier to return. Research shows that music can influence what shoppers choose and how much they buy. A 2005 study revealed that people tend to spend more on impulse buys when pleasant music is playing. The effect was present even when people did not notice the music playing in the store, showing that music has a subconscious (yet very real!) effect on shopping habits. More interestingly, the type of music played can act as a trigger for specific purchases. Classical music, for example, has been found to influence shoppers to buy more expensive items. Scientists believe that it may be because classical music evokes feelings of high quality and elegance, and thus influences shopping decisions in that direction. If you run a high-class store, you may want to consider playing classical tunes as a backdrop to your customers' browsing. In an often-quoted research published in Nature in 1997, researcher played various types of music in a wine store. They found that when French music was playing, people would buy more French wines; when German music was playing instead, people bought more German wines. Amazingly, the shoppers themselves were not aware that the music had had any influence on their wine choices. Is your music strategy designed to support your specific sales goals? In-store music is not only for the customers, employees and managers benefit from it too. An effective music strategy can be a great tool to boost staff morale, concentration and productivity. In a 2013 research by DJS, 77% of businesses agreed that their staff is more productive when music is playing. Many scientific studies support that people tend to work faster, and complete their tasks more accurately and creatively, when listening to music. In-store music can be a big point of differentiation for a brand, as well as a key element in the customers’ retail experience. The right sound will support a retail brand and create a connection with target markets while playing the wrong music can have devastating effects. A study carried out on over 1,000 UK shoppers revealed that one out of two shoppers had left a store due to annoying background music. 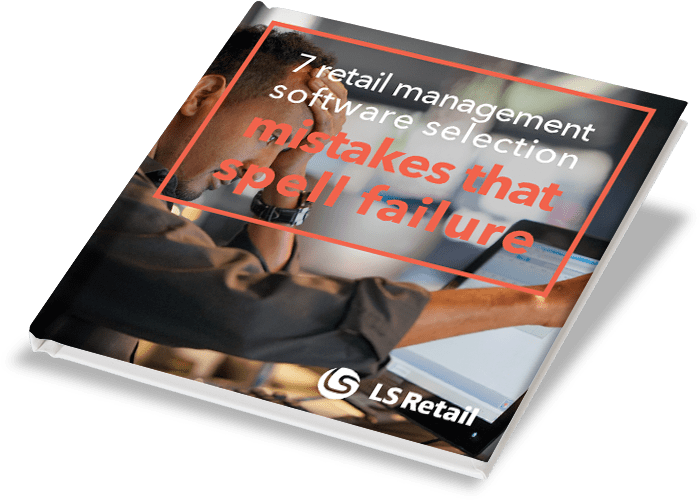 Learn the 7 most common mistakes business owners make when selecting retail POS, ERP and accounting software, and how to avoid them.